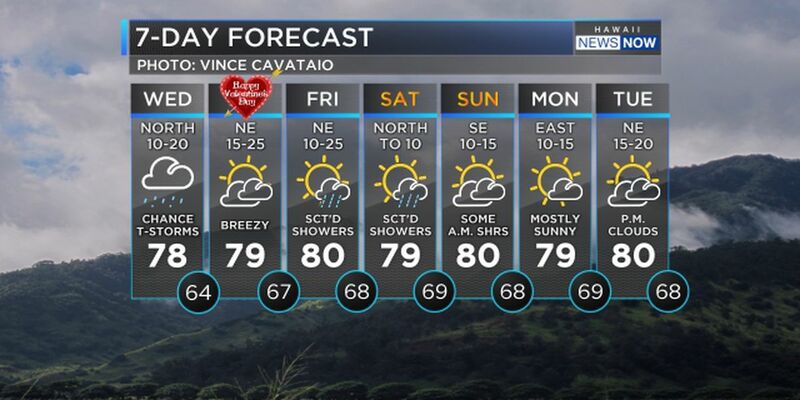 HONOLULU (HawaiiNewsNow) - Strengthening northeasterly trade winds will bring showery weather through at least Friday. 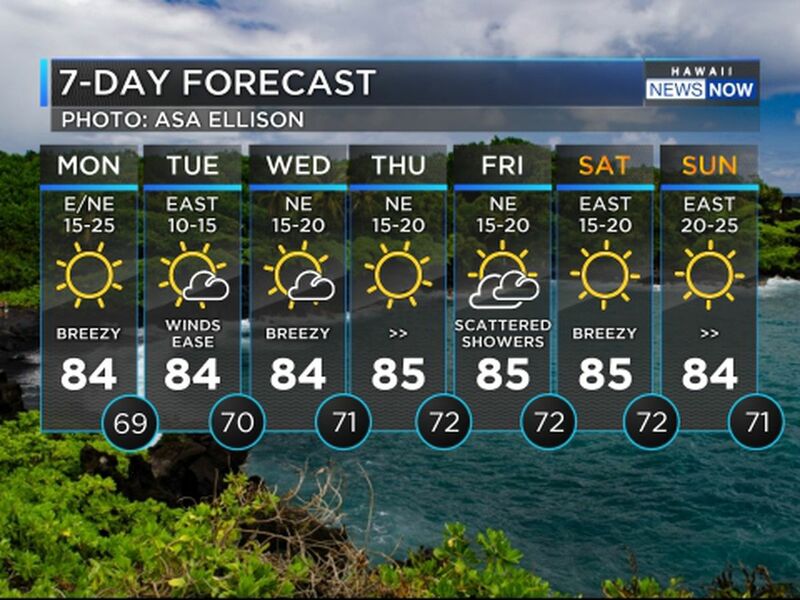 Clouds and showers will focus over windward areas, but the strong trade winds will blow some showers to leeward areas of the smaller islands. 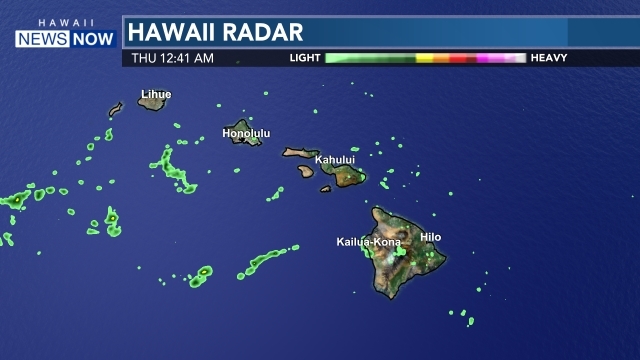 Unsettled weather may persist into the weekend as kona low develops near the islands. 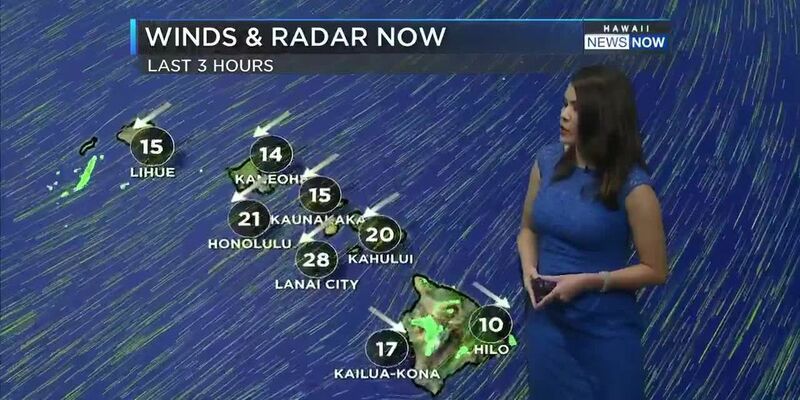 Additional wintery weather may also impact the summits of Maunakea and Maunaloa on the Big Island this week and a Winter Storm Watch remains in effect from Wednesday morning through Thursday night. After the initial shot of winter weather on Wednesday expect additional rounds possibly on Thursday and Friday. 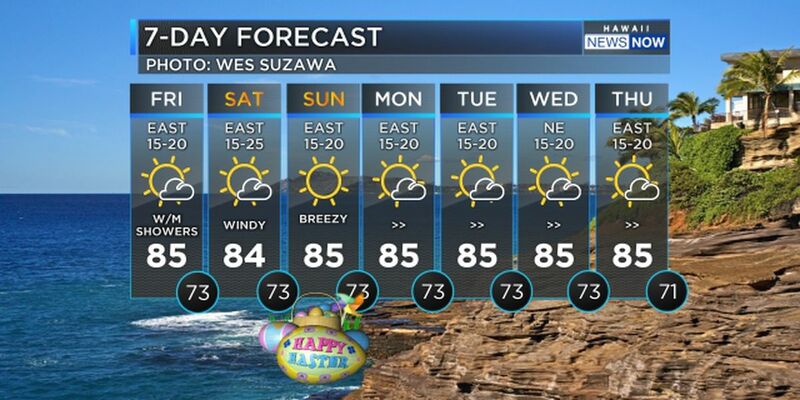 Surf along exposed north and east facing shores will rise as the new northeast swell builds across the waters. Warning-level surf will result for east facing shores with advisory levels continuing for north facing exposures. This will be a long-duration event that will likely continue through the second half of the week.